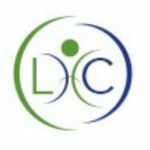 Legge Health Clinic is a dynamic health clinic that is looking for the right person to join our team. At our clinic, team is not a buzz word, it is our philosophy: “The whole is greater than the sum of the parts.” We pride ourselves in working collaboratively to provide our patients, with the treatment best suited for them, as an individual facilitating improved quality of life and enhanced performance. We are seeking a part-time Office & Marketing Coordinator to maintain and enhance our Clinic’s social media presence and provide administrative, front line support when needed. As our Marketing Coordinator, you will be entrusted with building, growing and managing our social media content across a variety of platforms. Taking overall responsibility for the management of creating and coordinating content with our internal team. We are offering 15-20 hours per week, Monday to Friday and scheduled shifts will be negotiated with successful applicant. Salary will be commensurate with experience and skill-set. Salary Range: Salary will be commensurate with experience and skill-set.